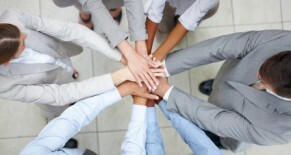 Writing resumes is a collaborative process. You tell me your story. I determine the best strategy to put your words to paper. View a few of our resumes. Like what you see? Call us … we can answer your questions and offer our expertise. Are you: Out of work? Looking to advance? Returning to the workforce? Need a change? Hi. I am Sharon Green. I am here to ease the process and get you excited about the opportunities that lie ahead. 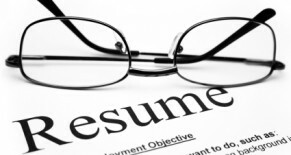 I will create a resume that works for YOU … as I have for thousands of others. 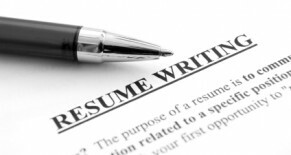 I have had the good fortune to provide resume writing services to clients from a full range of industries and at various stages of their career. Call us so we can do the same for you. Please take a few minutes to see what our clients are saying about us. Sharon did an outstanding job on my resume. A true transformation and it exceeded my expectations. I have received numerous calls regarding my resume and have had multiple interviews. Thank you!! I was one of 500 applications for a marketing assistant job and got the job. Thanks for a wonderfully constructed resume. Just wanted to let you know I was offered and accepted a position at West Valley Hospital. Thanks for your help with my resume. I’m sure it helped a lot. (hired within 16 days from receiving the resume. I read the draft and am very impressed with the way that you took the information from the interview and accurately put it all together. I was very impressed. Everyone I have shown my resume to says the same thing. Sharon was great and addressed my questions immediately. She is very talented. I am very pleased with the professional look and content in my new resume and look forward to using it in the job market. I received a steady stream of interview requests after distributing my resume and was very excited over my selection of opportunities. Your work made the difference in getting noticed. The service provided was great. Thanks for being as attentive and passionate about my career as me. Outperformed my expectations. Sharon really understands the business of resume writing. She analyzed the position I was applying for and the skills I possess. She emphasized my strengths in a well written and creative resume. Her knowledge and creativity all helped in creating a resume to help me stand out from the crowd. I got an interview just two days after faxing my resume for this specific job and received an offer shortly after. I quickly received an interview for the outside position we discussed. Also, decided to apply internally and interview for a position that utilized both my sales and training experience. Led to a significant promotion with my current employer. I am very excited. Thanks again. 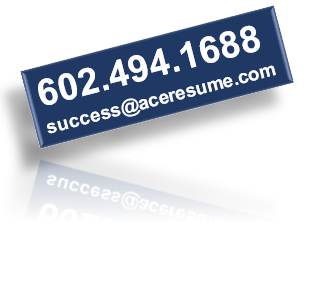 Ace Resume was able to reconstruct and highlight my unique work experience in such a way that my resume hits online increased three fold and led to two excellent job offers within 30 days, one of which I accepted. Definitely money well spent. It was your initial interview with me that made me realize my passion is in operations management. You did an excellent job on my resume. The resume is what I was looking for. I’m not and have never been able to word things well, so the resume I received was by far a higher quality than I could have produced. You changed my life. You saw in me what was already there and put it on paper. I continued to get my resume updated by you and in three years’ time I went from an Account Manager to an executive position with a new employer for a major hospital. I will always be grateful. So, now I see how your magic works. This is fabulous!!! !